Last Wednesday our shearer came out and sheared the sheep… Well, everyone except Beatrice and Bertha because they were due to lamb any day. 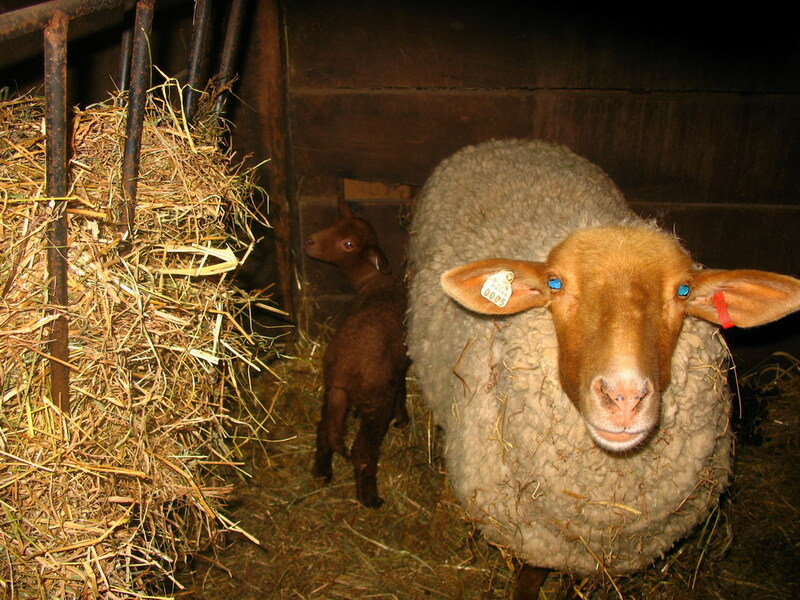 Bertha ended up going into labor a couple hours after our shearer left, and gave us a beautiful, 11-3/4 lb ewe lamb. I only helped when she looked like she was getting tired. It was her 1st lamb so the shoulders were difficult to pass. Beatrice lambed the next night and also gave us a ewe lamb. She was a petite 11 lbs! Beatrice’s lamb scared Dave Friday morning when he checked on the girls. She had slipped through the slats in the lambing stall and was in with Bertha and her lamb! Beatrice was very happy to get her baby back. 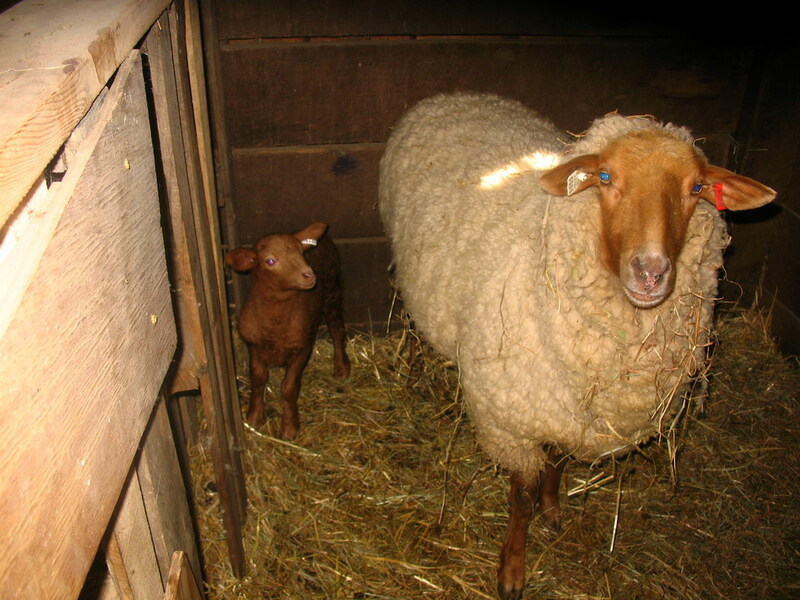 Bertha has proved to be a very attentive and protective mother…she tried to hide her lamb from us when they were in the barn by standing in front of her! Now we have 4 ewe lambs and 2 ram lambs with 2 more girls due next month! This entry was posted in farm, sheep and tagged Beatrice, Bertha, farm, lambing, lambs, sheep, Tunis, wool. Bookmark the permalink.